n November 2014, Benton residents passed a “quality of life” tax to fund a new park and community center to be located on land previously utilized as the Benton Airport. April 2017 celebrated the grand opening of the 117,500 sq. ft. River Center complete with a 14,000 sq. ft. aquatic center, 18,000 sq. ft. Senior Wellness and Activity Center, 50,000 sq. ft. Boys and Girls Club, as well as new soccer and softball complexes. 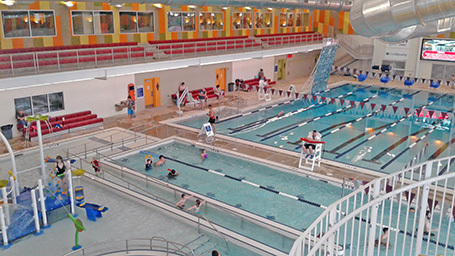 The aquatic center features two pools: a competition pool and a leisure pool. Each hosts a large array of special features and program opportunities. The competition pool will host large competitive swimming events with the help of the 250-seat observation deck. 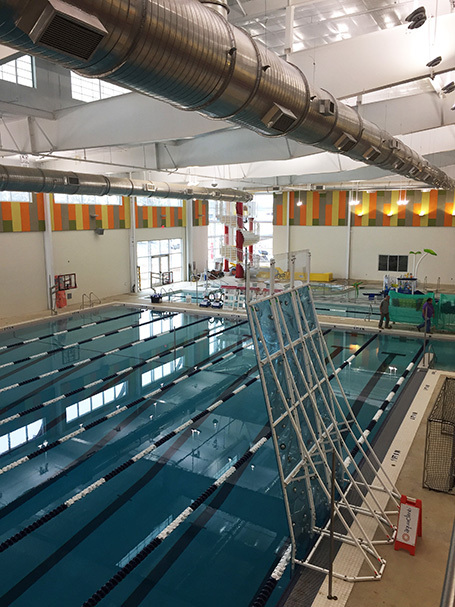 The pool also provides space for the River Center School of Swim, youth swim meets, water aerobics programming, swim lessons and pool parties. 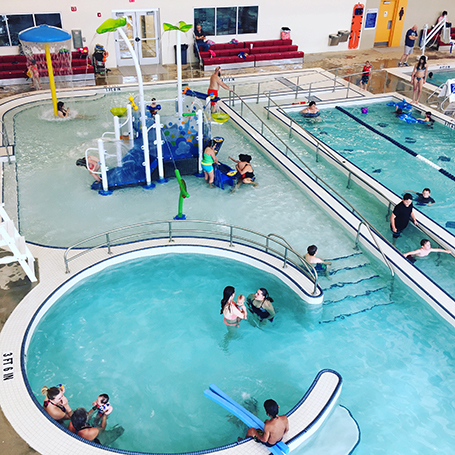 The leisure pool area is anchored by a two-story water slide that takes patrons outside the building before winding its way back into the natatorium.